Be the first to share your favorite memory, photo or story of Diann. This memorial page is dedicated for family, friends and future generations to celebrate the life of their loved one. 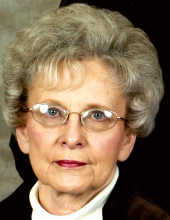 Diann Kay Blough, 77, of Lodi, passed away peacefully Tuesday, October 9, 2018 following a long illness. Diann was born May 9, 1941 in Lodi to Lawrence and Lillian Hetsler. As a youth she was confirmed at Lodi First Congregational Church. She graduated from Lodi High School in 1959. After graduation she was employed as a switchboard operator at the General Telephone Company in Lodi. She married Monty Blough on October 6, 1961. Diann was a kind, thoughtful, and generous person who was loved by all who knew her, and she will be deeply missed by her family and friends. She was a devoted and loving wife and mother. She dedicated her life to caring for others and was a devoted caregiver to her mother and husband. Diann enjoyed being a homemaker and working to make her home beautiful. She was well known for her amazing domestic, organizational, and decorating skills and she took great pride in having an immaculately kept home. Diann is survived by her beloved son Mark, sisters Peg (Tom) Huber, Vickie (Henry) Dagit, sister-in-law Shirley Hetsler, nieces Leigh Ann Hetsler, Karen Hooser, Linda Hinton, Erin Rich, Stacy Biehl, Amelia Dagit, and Haley Dagit, nephews Brian Hetsler and Adam Huber, and many cousins. She was preceded in death by her parents, husband Monty, and brother Larry Hetsler. The family would like to thank her son Mark for the wonderful care he provided his mother over the years. They would also like to thank her friend Charlotte Longsdorf for the loving care and support she provided Diann during her illness. Funeral Service will be Saturday, October 13, at 11 AM at Parker Funeral Home, 210 Medina St. Lodi (330-948-1122). Interment will follow at Woodlawn Cemetery in Lodi. Visitation will be Friday from 4-7 PM at the Funeral Home. Memorial Contributions may be made to the COPD Foundation, 3300 Ponce De Leon Blvd, Miami, FL 33134. "Email Address" would like to share the life celebration of Diann Kay Blough. Click on the "link" to go to share a favorite memory or leave a condolence message for the family.